For, cheery holiday spirit now fills the air. And we replaced the costumes with festive, holiday gift wrap! I sure hope you enjoyed my rendition of “A Visit from St. Nicholas” by Clement Clarke Moore. It’s such a lovely time of year. But, most importantly, it is a potentially huge opportunity to finish Q4 with a BANG! Whether you are a marketing executive, a financial officer, or the CEO, reporting higher-than-expected sales at the end of the year is always a good thing. 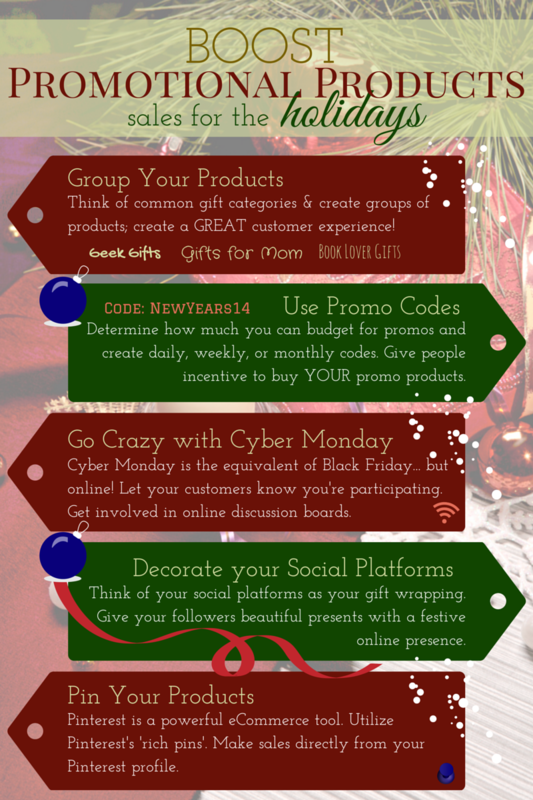 To help you strategically market your promotional products for the holidays, we have 5 tips for boosting sales!